Can you help to bring a Christmas festival to Coulsdon this year? 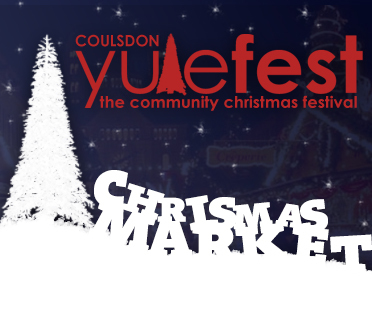 Yulefest is a self-funded group with no council funding, trying to make Coulsdon town a very memorable place this Christmas. An open-air ice rink, a Santa’s grotto, fairground and an array of market stalls selling gourmet food and handcrafted gifts are all in the plans this year. But Yulefest needs your help to fund these. Set up by a handful of volunteers from local community groups, businesses and residents, it was put together in just four months last year and created a “footprint” for this year’s festival. Last year’s Yulefest weekend saw the community speak with their feet. Footfall was up and local shop takings over the two days increased tremendously. The 2014 Yulefest organisers are seeking contributions towards its staging costs. This entry was posted in Business, Community associations, Coulsdon, Coulsdon West Residents' Association, East Coulsdon Residents' Association, Old Coulsdon Residents' Association and tagged Christmas, Coulsdon, Yulefest. Bookmark the permalink.